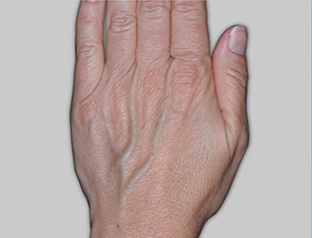 Radiesse for Hands is the first and only FDA-approved dermal filler to correct volume loss in the hands. 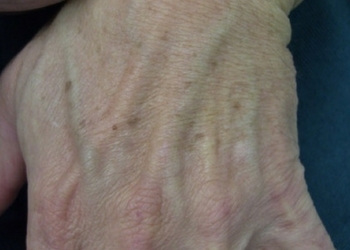 Over time, loss of volume in the hands can leave skin looking thin and wrinkled, often revealing unsightly tendons and veins. 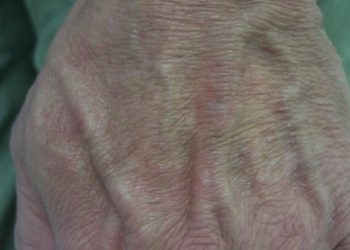 As one of the most visible parts of the body, the appearance of the hands can be a significant indicator of age. If the face is rejuvenated, there is no need for hands to be a giveaway. Combined with age-spot pigmentation removal, Radiesse is superb. 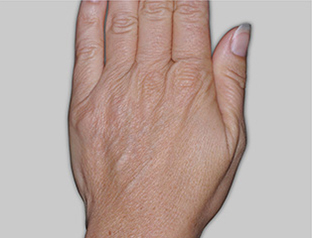 With just one quick treatment, Radiesse for Hands provides immediate volume for smooth, natural-looking results that last up to one year. Most side effects are mild or moderate in nature, and their duration is short lasting (14 days or less).  The most common side effects include, but are not limited to, temporary injection site reactions such as redness, pain/tenderness, firmness, swelling, lumps/bumps, bruising, itching and discoloration.  As with all skin-injection procedures, there is a risk of infection.